Combine asparagus and water in a 10” skillet and place over medium heat, covered. Steam for 2 minutes. Drain the excess water, transfer asparagus to baking sheet. 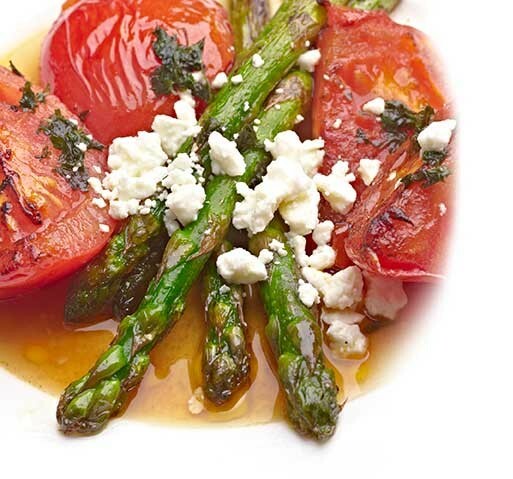 Top with feta or shaved parmesan cheese and serve.